Reduced again $20,000!! Motivated seller!! Great buy!! Best value in Mastique and close to the beach. A gated resort style community with exceptional amenities allows you to live like on vacation, everyday. Two, luxury high rise towers located on a 25 acre lake overlooking a 400 acre preserve. Walk/bike to Bunche Beach and only minutes to Fort Myers Beach or Sanibel Island. Wonderful 4th floor unit with elevator that leads you right to you own foyer. Open floor plan with high ceiling and spacious rooms. Lots of upgrades not in all units. Sunshine pours in from the inviting large lanai bringing the outside in. Unit offers two under building parking spaces located on the 2nd level, with extra storage on level one. 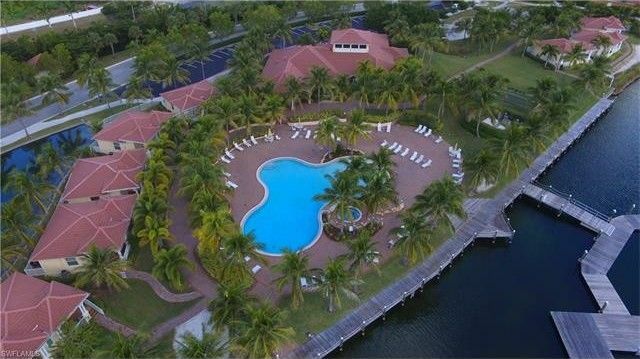 Amenities include a lakefront Pool & Spa, Clubhouse, Billiard Room, Fitness Center, Zen Garden, Tennis Courts, BBQ Area, Fishing Pier, Bike & Jogging Paths. Explore Mastique, today. Directions: Summerlin to South on John Morris Road to Left into Mastique. Through gate to first building. Follow ramp, (Rt) to lobby level and guest parking.